The Great Recession of 2007-2008 had a devastating effect on the U.S. economy, but economists and the Federal government were able to react by creating effective fiscal programs, thus lessening the potential damages. Many economists have compared the Great Recession of 2007-2009 to the Great Depression of the 1930’s. In comparing the data, it appears the Recession initially had a more severe financial fall than the Depression, but after the first two years of the Recession, there were signs of recovery that were not existent in 1931 (Shomali & Giblin, 2010, p.18). Investopedia defines a recession as “a significant decline in activity across the economy, lasting longer than a few months…The technical indication of a recession is two consecutive quarters of negative economic growth as measured by a country’s gross domestic product (GDP)…” While a downturn in the economy for two consecutive quarters can be classified as a recession, a more serious and prolonged recession in which the GDP is 10% or higher is a depression (Shomali & Giblin, 2010, p.18). Even though the terms, recession and depression, are often used interchangeably, the primary difference is their severity. Depression and recession are unavoidable parts of the economy, and even though they indicated difficult times, there are valuable benefits that evolved from their existence. Hard times often encourage businesses to create new ideas and to diversify. As a result many new jobs may be introduced in sectors that normally would not have survived in normal times. 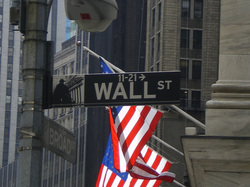 Quickly responding to the financial crisis is one of the reasons the United States is no longer in a recession even though the country is still experiencing the effects. There are numerous factors that contributed to the recession. The majority of the causes seem to center around the housing and financial markets. More investors entered the market seeking a large, rapid return on their investments; there was a high demand for safe investments yielding greater returns, securities were designed that combined individual loans and provided risks that neither the individual nor the security firms fully understood. This risk was grossly underpriced and once the investments began to lose value, contributed to the economic crisis. Another reason for the financial crisis is due to an abundance of cheap capital. Home building increased and inflated existing home prices. There was a rapid growth in the amount of subprime, interest only, and adjustable rate mortgages. One year adjustable rate mortgages (ARM) Initial Interest Rate declined from 7.25% in 2001 to 3.5% in 2004. Though these homeownership loans provided homes to families that normally would not have had an opportunity to qualify, it also gave loan to individuals that could not afford them (Carr & Beese, 2008, pp.109-110). Securitization of mortgages also contributed to the economic decline. Instead of banks keeping the loans they originated, the loans were bundled into mortgage backed securities that were in turn sold to investors. As a result, the risks were passed along to the buyers of the derivative securities. When home prices began to fall in the third quarter of 2007, many borrowers owed more than the market value of their homes. In hindsight, variable interest rates that are subject to sustained interest rate increases are rarely in favor of borrowers or financial institutions, even though the terms may appear to be profitable (Shomali & Giblin, 2010, p.16). Some economists believe that the single most damaging factor contributing to the recession may be the highly indebted United States economy. Private debt levels hinder growth by making recessions deeper and recovery more difficult. According to the Bureau of Economic Analysis in 2009, GDP decreased in each quarter from 2008 until the second quarter of 2009; a decline not seen in over sixty years. Though this was a dismal picture, GDP increased in subsequent quarters. In fact GDP increased 2.3% in the third quarter of 2009 and 4.7% in the fourth quarter of 2009. In 2010, the United States debt was figured at 350% of GDP. Indebtedness is one of the reasons many businesses had to downsize or dissolve. This phenomenon led to a high unemployment (Shomali & Giblin, 2010, p. 17). The National Bureau of Economic Research (NBER) identified the end of 2007 as the official start of a recession. It was during the second half of 2007 that the labor market began to slide. It continued to do so throughout 2008 and during the fourth quarter of that year the unemployment rate increased to 6.9%, representing 10.6 million unemployed individuals. Workers in the prime working age group (25-54 years old) experienced an unemployment rate of 5.9%, but men in that group saw the unemployment rate rise to 6.2% in the fourth quarter of 2008. Women in the same group experienced an increase from 4.0% to 5.5% in the same fiscal quarter. One of the reasons men experienced a greater increase was the sharp decline in jobs considered to be male-dominated occupations, such as construction and extraction. There was also a decline in sales, office, production, and transportation jobs (Borbely, 2009, p.8). There was; however, an increase in management, professional, and service occupations. The Bureau of Labor Statistics reported that unemployment rose from 5.0% to 10.0% by December 2007. Though this figure is double the normal rate of unemployment, it still reflects a lower figure than 15.9% as presented in 1931. The drastic loss of jobs in several sectors forced many individuals to either retire early or indefinitely delay retirement (Borbely, 2009, p.11). The recession showed less consumer spending, but price levels did not increase and the Consumer Price Index increased 0.1% in 2008 and 2.7% in 2009. Median weekly payroll earnings increased in 2008 at approximately the same rate as inflation, according to the Consumer Price Index. Inflation-adjusted median household income in the United States decreased from $52,823 in 2007 to $49,445 in 2010. This indicates that the recession negated all the middle class income gains for the last 15 years. This income decline increased the number of people living below the poverty level. Households below the poverty level in suburban areas increased by 53% while urban households under that level increased by 23% (Borbely, 2009, p.5). Having learned from mistakes in the past, the federal government responded by presenting several pieces of legislation to address the nation’s economic crisis. The first, the Troubled Asset Recovery Plan (TARP) was passed by Congress in October 2008. $700 billion was provided to the Treasury Department in order to purchase troubled assets and bailout faltering financial institutions and the automobile industry. Several months later, in February 2009, other stimulus programs were introduced. Their purpose was to stimulate the economy and to create jobs. The $787 billion American Recovery and Reinvestment Act (ARRA) was passed. This stimulus was used to provide tax cuts, financial assistance to individual states, facilitate government investment in various sectors. The Economic Stimulus Act of 2008 also created economic relief in the areas of student loan guarantees ($195 billion), unemployment benefits extensions ($8 billion), and $3 billion dollars for the Cash for Clunkers Program (Joon Yoon, 2011, p.53). Carr, F.M. & Beese, J.A. (2008). The Federal Reserve interest rate manipulations from 2000-2007 and the housing mortgage crisis of 2008. Journal of Economies and Economic Education Research, 9(2), 107-116. Joon Yoon, B. (2011). The great recession of the U.S. and lessons from the past. SERI Quarterly, 4(1), 48-55. Mankiw, N.G. (2012). Principles of macroeconomics. 6e. Mason, OH: South-Western Cengage Learning. Shomali, H.& Giblin, G.R.(2010). The great depression and the 2007-2009 recession: the first two years compared. International Research Journal of Finance and Economics, 59, 15-23.